In this year’s Iraq parliamentary elections, the PUK won 21 seats and this kept them in a position to take the post of presidency of Iraq, like last time. We don’t know exactly why the PUK did well in the elections to the Iraqi parliament but not to the Kurdistan parliament and I believe we need to do more study on this subject. Over the last several months of PUK internal struggle, according to my soundings, most party members and probably a majority of the Kurdish public favoured the presidency going to the PUK’s second deputy leader, Barham Salih. Salih is 54 years old. He became a PUK foot soldier in the 1970s, was jailed in the struggle and – critically – he is politically qualified for the presidential role as an intellectual and scholar. However, it is a sad truth of contemporary politics in Kurdistan that the ‘crony principle’ holds most sway within the PUK, with key posts frequently going to members and close allies of the Talabani family. How else to explain the news that Fuad Masum, a 76 year old man who is Jalal Talabani’s strongest supporter and childhood friend from their schooldays and earliest years of struggle in the mountains of Kurdistan, was selected as the Kurdish candidate and next day won the vote in the Iraq parliament with the support of Iraq prime minister Nuri Maliki? There was a well-organised political plot coordinated by Talabani’s wife, Hero Ahmed, to crush Barham’s candidacy. 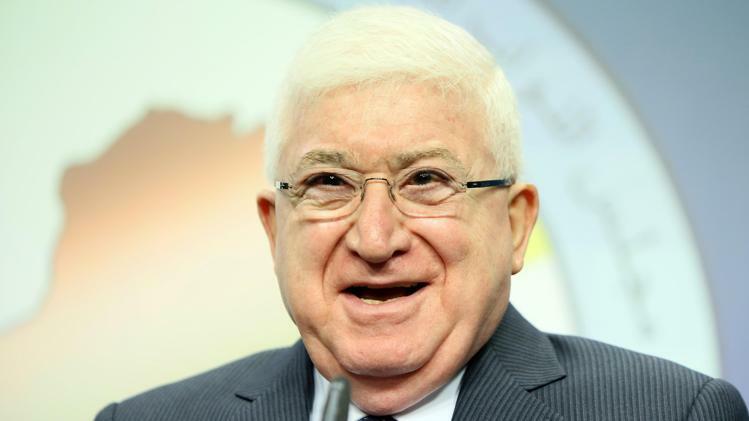 Fuad Masum may be a most longstanding member of the PUK aristocracy but that doesn’t mean he was the best candidate for the job. Salih is regarded as not loyal by the Talabani family because, after the difficult day of 13 September 2013 when the PUK lost many Kurdistan parliament seats in the Suli area, he told the leadership that it should accept electoral defeat. It has always baffled me that the PUK, which is supposed to stand up for the little guy, has such a poor record of ignoring the wishes of its own members. The only explanation I can think of is that, historically, the PUK has never been punished for failing to deliver on its programme. It has advocated power for the people while, for the last 20 years, concentrating power in the hands of a tiny Kurdish elite. Still, thanks to the rise of the Gorran movement, it can no longer take its working class support for granted. Regardless of the privileges they now enjoy, PUK leaders could yet pay a price for their mistakes. The President gained more votes then his competitor Dr. Barham Salih amongst Iraq’s Kurdish MPs to win the post (both were PUK’s joint candidates), they decided. And you suggest that you’re a Gorran supporter, but don’t mention 6/9 Gorran MPs voted for Dr. Fuad. PUK = IRAN. According to a high-ranking PUK official, only 300 members of PUK had remained loyal to the party. It was Iran who helped PUK stand back on its feet in elections. This article is better suited for Barham’s Facebook page. He lost in two arenas. Game, set, match. It’s over. Dr. Fuad is the President and Barham can leave PUK and create a new party with ALL of his followers which this article makes out to be most of southern Kurdistan. If the rest of the riff raff will follow suit, PUK will be in a much better place. You neglect to mention he turned his back on the party in their most critical hour before the recent elections. A time they needed their true leaders to step up. Not sure why some people think that Barham Salih is good leader. As politician what he did as vice prime minister in Baghdad when he was in the post. Second point in my opinion he lost his golden opportunity as he turned blind eyes to Sulimani protestors when he was prime minister for KRG. He was not the politician as Kurdish people expected!